A good investor wants to reap the rewards of good choices, and this is why a good investor will tell you to only invest in what you know best. This is the first step in improving your chances for having a successful portfolio that yields dividends and solid investment returns. While you may understand how a company works investment-wise by looking at their revenues and growth percentages, you definitely have an advantage when you understand the things about a business that are not so obvious. When you really know a company’s products or their target customers, you understand the ins and outs of the industry and can comprehend what factors will help a company perform great or not-so-great. Your comfort level with an investment certainly gives you an advantage when making decisions. Your confidence in what you know helps you to make better, more educated decisions. If you are always second-guessing your decisions in markets you don’t know, it is likely you will not find the same successes. The old adage, “what you don’t know can’t hurt you,” doesn’t apply to investing. in fact, the opposite is true. When you are dabbling in uncharted territory, there is higher risk of making mistakes with your investments. You are also likely to fall for schemes and scams that will rob you of your time, patience, and ultimately your hard earned money. Investment scams aren’t new but they are becoming more complex and harder to detect, especially if you are playing on a field where you are not familiar. Scam artists are great at what they do and can make a pitch so believably good, you have no choice but to throw money their way. When you don’t stick with what you know, you are likely a prime target for an investment fraud scheme. There are literally thousands of unique investment opportunities out there. Start by investing in what you know, then branching out to other types of investments as you grow and learn. 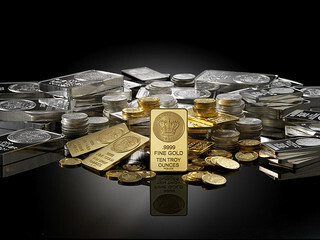 For example, if you understand the precious metals market, then you may consider buying gold, silver, or other precious metals as an investment. If you understand the stock market, or the general principles, then consider buying stocks and bonds. The same thing goes for an investment such as real estate. If you are nervous about putting in too much money into any one investment, then consider buying funds, which offer more diversification and spread your risk profile better than you can do if you buy individual investments. You can invest in a variety of funds which tackle different market segments, including gold and precious metals mutual funds or ETFs, stock and bond funds and ETFs, or REITs for real estate investments. The point is to start small, and expand your investment profile as you learn. Do Online Brokerages Really Give You the Best Deal?